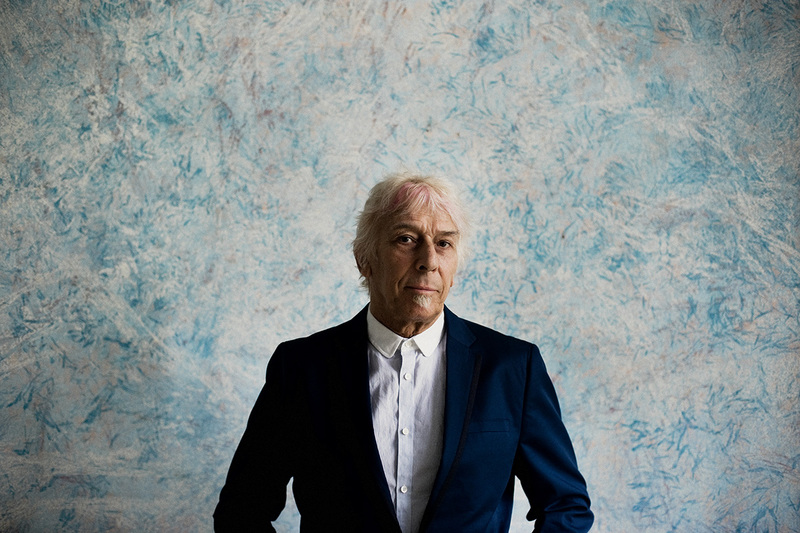 The melodic familiarity of Vintage Violence, the choppy rhythms bounding from Church of Anthrax, and into the stately rock and sordid storytelling on Black Acetate—John Cale’s albums are settings for the endless barrage of characters stuck in the shadowy vignettes he passes off as songs. That there’s not been a book of short stories or a screenplay from Cale’s pen is startling. But the characters from 1982’s Music for a New Society are getting a second shot with the album’s reissue, as well as an updated, reimagined musical background, on the concurrently released M:FANS, both recently issued by Double Six/Domino. Some of M:FANS’ songs, though, predate even Music for a New Society. “Close Watch” first appeared on Cale’s 1975 album Helen of Troy, and it’s been transmuted at least three times. Lyrically, the song’s been the same for 40 years, but the tone of each successive iteration changes its effect; the initial offering’s a pleasant enough ballad, lushly illustrated with strings as Cale plays the despondent lover. Seven years later, on Music for a New Society, Cale’s pulled it all back, so that the composition’s mostly keys, his echoed voice, and a surprising bit of bagpipes near the end. The song’s latest incarnation is a chance for Cale to showcase an affinity for hip-hop production, as the Dirty Projectors’ Amber Coffman adds vocal accompaniment to further the present-day interpretation. While M:FANS engages current production mores and makes room for performers weaned on Cale’s earliest work, its blueprint, Music for a New Society, was a bit of an anomaly in the Velvet Underground cofounder’s solo catalog, as well as amid then-current new wave acts such as Toni Basil, Men at Work, and the Human League. About 15 years after his departure from the Velvets, Cale had yet to turn in a chart-topper. And while his extant musical cache could have—and did—sustain him for decades, the songwriter still sought a setting that’d enable him to more easily deliver the stories bristling inside of him. A few players, though, were invited to the sessions that spawned Music for a New Society, including Chris Spedding, whose contributions didn’t make it to the final version of the album. Regardless, the guitarist played with Cale in a variety of settings before and after the recording. Cale is keenly aware that at some point, there’s going to be a supreme reckoning with his catalog. Decades after coming to the states from his native Wales and jamming impromptu with avant-stalwarts such as La Monte Young and Tony Conrad, then leaving one of the most influential 1960s rock acts because of its perceived lack of adventurousness, Cale still seemed to lack utter certainty in his own abilities, both musically and as just another malcontented person stalking the earth. Though Cale’s hesitancy might indicate some lingering internal struggle, over time he’s been able to articulate at least a bit of it into narrative songs. Cale cites “Sanctus”—or “Sanities”, depending on what version of the album’s being referred to—as having that specific brand of strife. It’s a story told in the same voice and intonation as “The Gift”, which closes White Light/White Heat. But this offering, which found itself significantly updated for M:FANS, details the horror of its female protagonist after her mother figures that she’s a failure. There are locked doors and lost friendships, now all laid over music suited to Ministry, if Al Jourgensen told everyone to play a bit more slowly. Cale’s relative solitude, belied by the background bustle where he was in California fielding questions, is a thing that seemingly comes and goes. He’s been married, perhaps most notably to designer Betsey Johnson. There’s that unyielding tie to the Velvets and its late frontman, Lou Reed, as well. But Modern Lovers founder Jonathan Richman, a guy perhaps susceptible to hero worship, remembers touring with an engaged Cale after Music for a New Society was released. I think that what I do from now on eventually will overshadow everything I started with. One of the letters Richman wrote to the author. The warmth of Richman’s recollection contrasts with the steely dissolution of the Velvets and Cale’s description of Music for a New Society. Connections to other people aren’t at the forefront of explanations of new work; or even old work; or work that’s still in the pipeline, including the prospect of a play based on Barbet Schroeder’s documentary that details Jacques Vergès, an attorney who defended some troublesome historic figures. But Cale is keenly aware that at some point, there’s going to be a supreme reckoning with his catalog, the characters he’s toted around for about 50 years and the import of his contributions to both the far reaches of avant-gardist tendencies in rock, as well as pop music. Maybe that’s why at 73, he’s returned to reassess a recording that’s already more than 30 years old.